Palau Visitors Authority (PVA), the official tourism office for the Republic of Palau, Micronesia, has recently appointed Ms. Nanae Singeo as their new Managing Director. Ms. Singeo comes in with an extensive background in marketing as well as in management. Most recently, Ms. Singeo was the Brand Manager for Proctor and Gamble in Japan. She has over 18 years experience in Sales and Marketing in Japan, China and Singapore; she had travelled to many different countries and had chose to make Palau her home. Ms. Singeo attended Marymount University in Arlington, Virginia where she earned her Bachelor of Arts degree in Political Science. Ms. Singeo is very proud to be a member of the Palau Visitors Authority team and she looks forward to working with the team and with the local tourism industry partners. 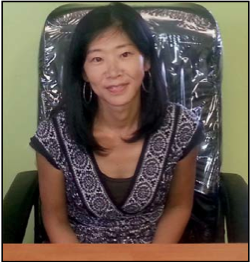 Ms. Nanae Singeo can be reached at: nanaesingeo.pva@visit-palau.com or (680) 488-2793.